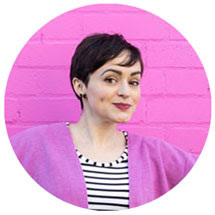 You'll end up with pieces that have been cut more accurately than if you had cut the pattern at the same time as the fabric. 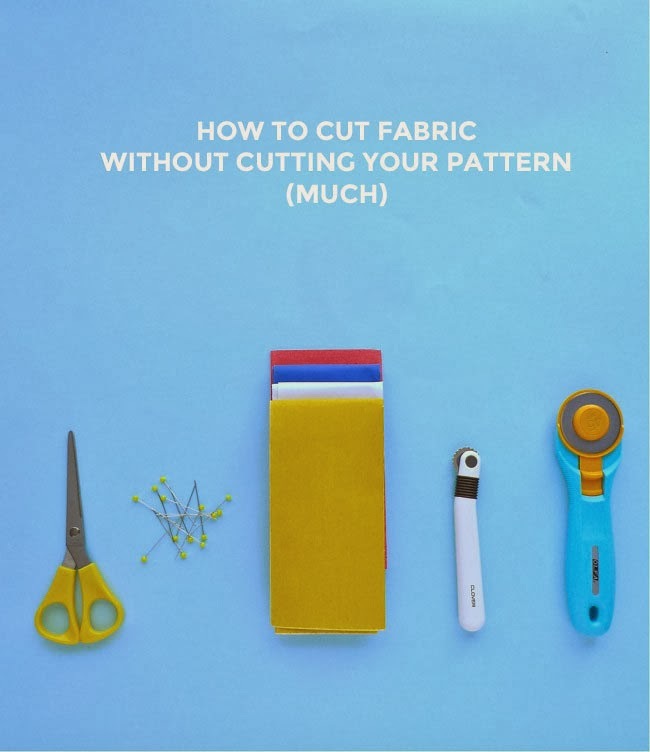 1) Roughly cut around your pattern pieces using paper scissors, an inch or so outside the lines of the largest size, leaving all sizes intact. 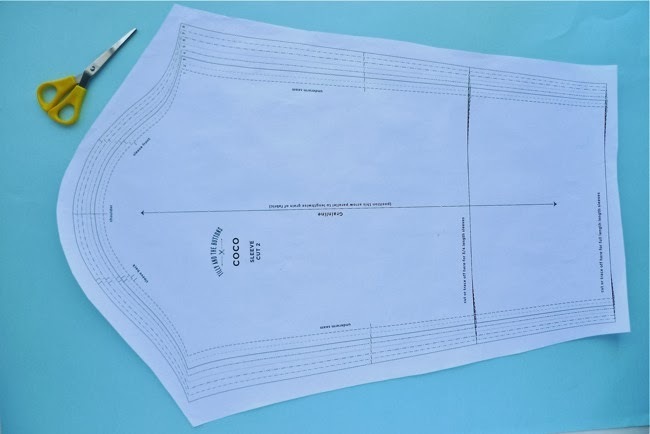 2) Lay out the cutting mat, fabric and pattern pieces, aligning grainlines and 'place on fold' lines as normal. Hold the pattern pieces in place either with weights or with pins. If pinning, pin about half an inch or so within your size lines. 3) Now for the fun part. Take a sheet of dressmaker's carbon paper in a contrast colour to your fabric (test them out on your fabric to see which one shows up the best), and slip it under the edge of one of the pattern pieces, with the coloured "carbon" side face down onto the fabric. 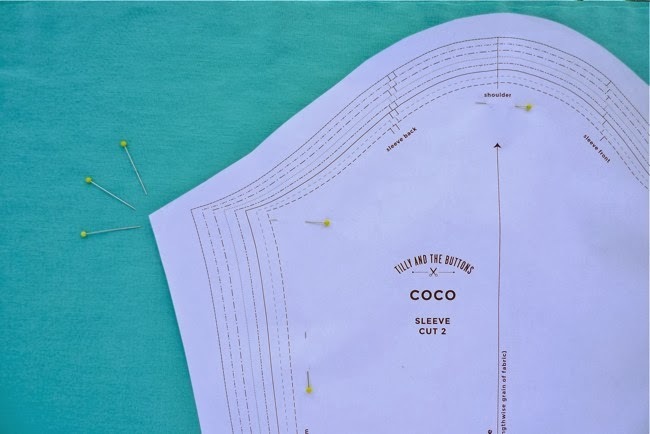 Roll the tracing wheel along the pattern lines corresponding to your size, moving the dressmaker's carbon around as you need to until you've transferred all the cutting lines from all the pattern pieces. You can also use dressmaker's carbon to transfer darts, notches and other markings. 4) Remove the pattern pieces. 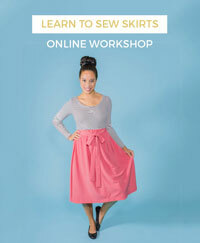 You should have a neat outline of your pattern on your fabric. What's more, your pattern is still intact ready to be reused. 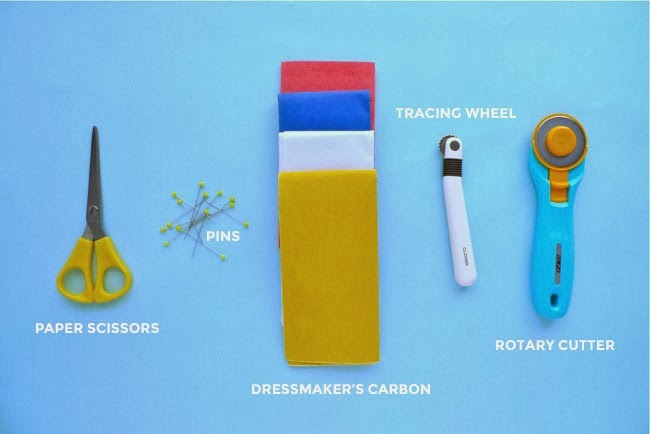 Now you can cut your fabric, exactly on the lines you have drawn with the dressmaker's carbon, using either fabric scissors or a rotary cutter. Sometimes I pin the two layers of fabric together for this bit to stop them slipping apart. 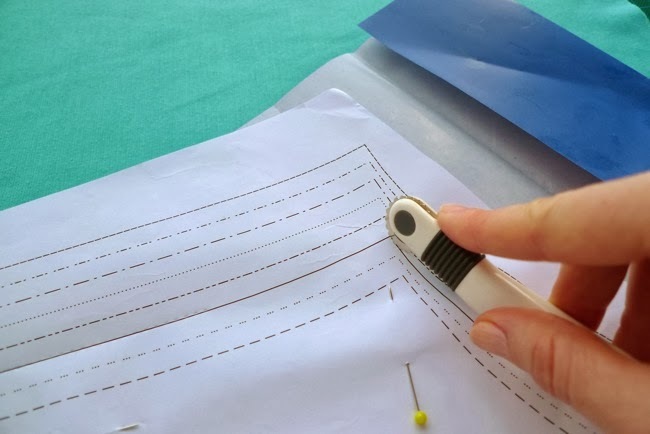 Bonus tip: If you use the same pattern again and again, over time the perforations made by the tracing wheel can weaken and tear the paper, especially if it's a tissue paper pattern. I use sticky tape to reinforce and preserve the lines on my beloved patterns when they start to weaken. So that's it! 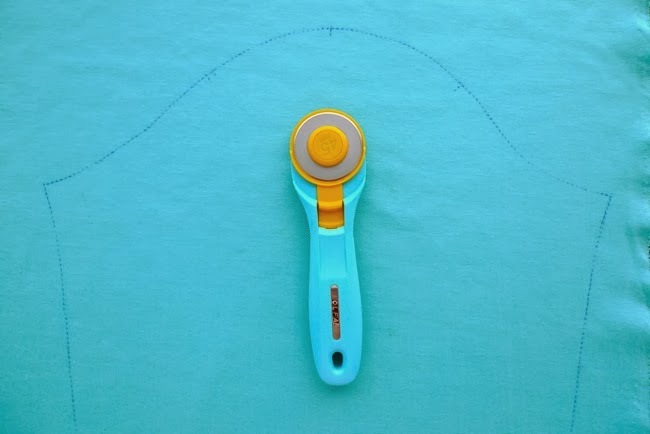 My favourite way of cutting fabric to a pattern. Does anyone else do this too? PS. Thank you SO much for your warm welcome to the cover and concept of my book. It's pretty nerve-wracking to put something out into the world that I put so much work into, so your support really means a lot. Thanks guys!